Kajima [Fantasy|Drama] 3/14 New Demo! Losing her parents at a young age, Yira spends her childhood in an orphanage, when she is unexpectedly invited to live with a distant relative on the other side of the country. She moves into a formerly prestigious traditional inn with her uncle, his younger brother and a young boy. While trying to live her life she hears strange rumours about her new home - will she able to live peacefully, or is there a truth that needs to be revealed? Orphaned at a young age she spend a great deal of her life in various orphanages, when she is suddenly taken in by a distant relative. A 27 years old writer, living in an old inn, secluded from the bustling town. Generously invited his niece to live with him. A 21 years old student and younger brother, living away from his home during the term. Returns for summer break to the inn to meet the new family member. A strange little boy who keeps to himself and works as an assistant for Kyungso. Female protagonist, fantasy elements with a bit of mystery and drama (but which story hasn't?). Only very light romance content. Setting: Asian country, modern times, the year 2020. At least 3 full Endings. characters, for an average of 9.2 words and 48 characters per block. 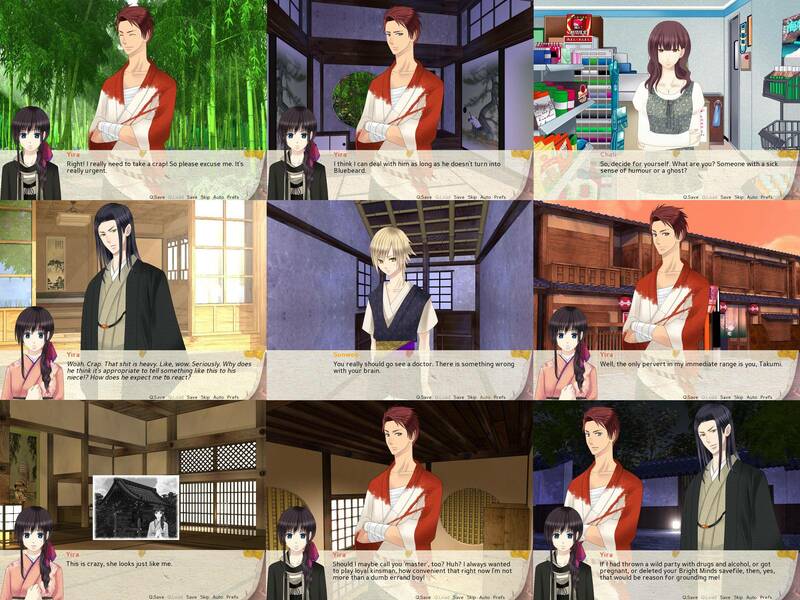 The game contains 44 menus, 209 images, and 12 screens.. The demo contains 5 early endings, the complete common route and about half of Takumi's route. Hello and welcome to this thread about my first project "Kajima ~ Don't Go"! So, since this is my very first project I'm opening this thread because I absolutely want sure to finish this before the end of this year. This will be probably a rather short VN and since I cannot draw nor compose I will use free resources. I already wanted to do this project a year ago, but apart from modifying a few sprites and only having a vague idea about the plot I didn't really do much and I quickly lost interest. This time I want to see it through, which is why I created this thread! I'm pretty much done with world building, character backgrounds and the outcome. Now I only need to go past the "rough plot line" phase and think about the specific scenes and events in the game. So, I've written 4 scenes now. 3 beginning scenes (1800 words) and a short random one (100 words). The problem is - I wrote 1800 words for the beginning and she a) neither met all characters b) nor even arrived at the main location. The beginning was only supposed to be a quick "wait & pick-up" scene before the story really starts at the Inn.. I'm afraid the "prologue" is way too long and thus too boring. Though there are a few choices in there already, so there won't be 1800 words to read in one go. Hmm. Well, I'm probably going to revise a lot of scenes in the end anyways when I have a clearer idea of what will happen. What I need to do pretty soon, is to think for names for the characters! They had names I gave them a year ago, but those were distinctive Japanese (and one of them of a surname!) 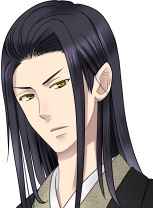 and I don't really want to set this VN specifically in Japan, so I need to think of Asian names that are neither Japanese nor Korean (yes, I know that "Kajima" is Korean, but it's only a working title for now!). Bit difficult. I also need to think of a better synopsis, the current ones seems to long. I started working on this again a few days ago. Updated the main post. Demo will be soon up. Currently waiting for friends to test it, while I add music, sound effects and proofread the script so far. I think adding music to the game may be my least favourite thing. But that's only because I'm already done with the worst coding and the rest won't be that bad. At least I hope so. Who knew that soon means such a long time? I'm honestly surprised - it takes a lot of time to publish a demo! And even after spending a considerably long time on it, it's far from perfect. But the proper demo is done and I'm going to focus on my NaNoRenO project before I continue working on this. Last edited by Ophelia on Fri Mar 07, 2014 5:08 pm, edited 19 times in total. To be honest hard to imagine giving them generic Asian names when the character wears Japanese costumes. Probably you should check Avatar anime for references. 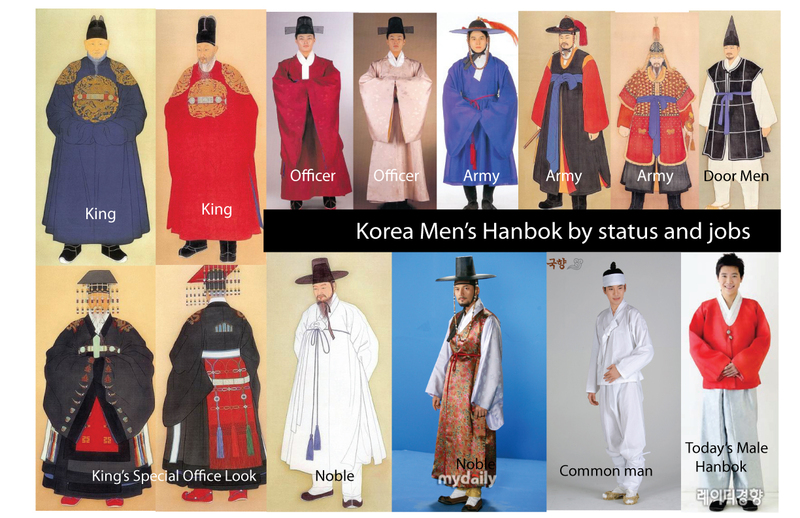 Well, yes, the sprites are obviously Japanese and wear traditional Japanese clothing - but it's not like Japan is the only Asian country with robe-like traditional clothing. So I don't think it would be too much of a stretch here. But thanks for your tip! You can always just make it a fictional world. And why do you feel that 1800 words is too long? Ophelia wrote: Well, yes, the sprites are obviously Japanese and wear traditional Japanese clothing - but it's not like Japan is the only Asian country with robe-like traditional clothing. I know that. I have a hanfu after all. But they are very different with Japanese ones. Again my advice is to go using "Avatar" series as a reference. Just name them generic names. Even babbling ones could do too. Alternatively just combine Asiatic names to create compound ones. Like "Takahira Han" or "Sook Min Chi"
Yes, thanks! I already took a look at the cast and that's definitely the direction I want to go with the names. On another note: I made a tiny little alpha version! It's the very beginning of the game (because of course I started writing at the beginning which I shouldn't have because I probably change a lot of it anyways...) and nothing much happens except for meeting two characters and arriving at the main location. I'll add the download links to the first post immediately. Anne wrote: You can always just make it a fictional world. And why do you feel that 1800 words is too long? Well, I don't want this game to be too long since it's gonna be my first VN and I don't want to work on it for an eternity and I originally wanted to make the beginning into a very short scene. And only one for that matter and not 4! One of my acquaintances was so nice to proofread the script for me (since I totally forgot about that..). I also changed the character's names. The temporary names are for now Kyung, Takuro and Sunwo. 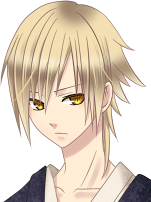 Currently I'm in the middle of modifying Takuro's sprite.. the normal version has red hair, which wouldn't make sense in my story, so I need to change that. It's a bit of work though for someone like me who knows nothing of picture editing. I also need the protagonist's eye colour. I was thinking very hard about the names I want to give my characters, but I just couldn't come up with anything satisfactory, so I decided to completely CHANGE the setting. I also got help from a friend of mine, who offered to modify the sprites for the change. His new name is now Carlos. I'm very excited about this change and I'm looking forward to it! I played the demo and I found it interesting. I'll be waiting for the full game to be released. Good luck! try10 wrote: I played the demo and I found it interesting. I'll be waiting for the full game to be released. Good luck! Soooo, I think I'm progressing rather nicely. 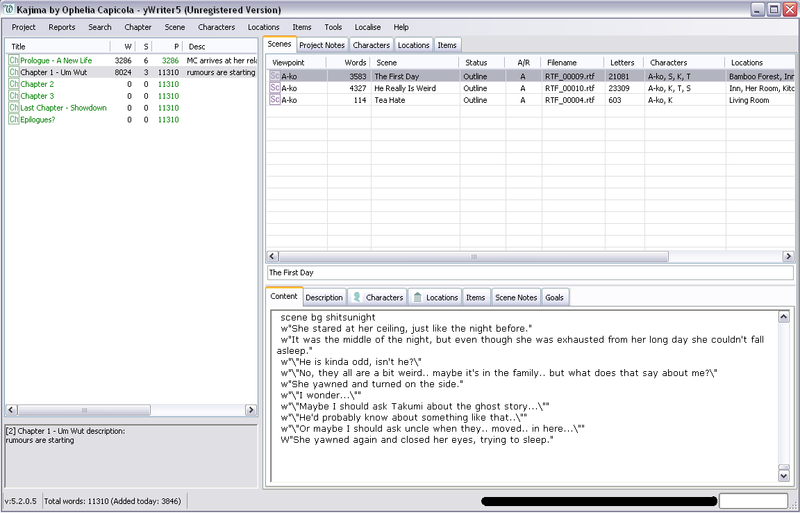 I've written now... ~11.000 words and the protagonist has met all four characters in game. The problem is now that I've written 3 more or less important scenes with the three male characters. One of the particularly changes how the character is treating the protagonist and now I'm contemplating whether or not I should proceed as planned or rather write proper routes for all three of them!? And this is even after I considered cutting one character's ending entirely... hmm. Difficult! Doing as planned wouldn't require me to write as much as writing 3 proper routes now, but on the other hand I would probably need to alter the interactions with one character throughout the game, depending on whether or not the player decided for his scene. Hmm. Or I'll just revert his behaviour to pre-route and only make a few references to the scene here and there... yeah, that sounds more like him anyway. And yes, there will be another character besides the 3 guys! I've decided to add a girl, too. 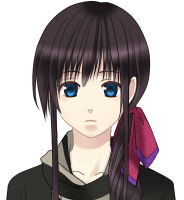 No route for her and only a minor side character, but she's still gonna be important. At least I think so. Then I'm gonna be writing again. Don't mind me. I'm just sitting here, working on sprites. Huh, look at that. Seems like there is gonna be a battle in the game? Roughly 18.000 words written, including 3 early "endings". I also wrote one battle. And I mean wrote, not scripted. That's gonna be fun. And with fun I mean a nightmare. Sprite made with http://charas-project.net/charas2/index.php and modified with Gimp. So, I haven't written anything the whole week and only sat down this evening, but I can update wordcount to ~28.000! Right now I'm at the point where the story separates in the 3 different routes/endings. I think we will look at about 40-50k words in total. If I keep on working like this I may release this early October... but probably it will be more like November. Oh, right. There will be 3 different routes! Kind of. With a very long common story, I guess. 2 of them will be in close collaboration with the two adult guys, while the other one will be more of a "I'm doing this on my own!" kinda thing. Nice to see some updates. Thank you!